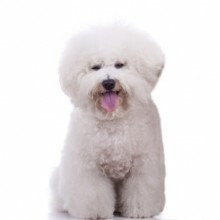 The Bichon Frise is usually a joyful little character – very small, with abundant hair which needs daily attention. 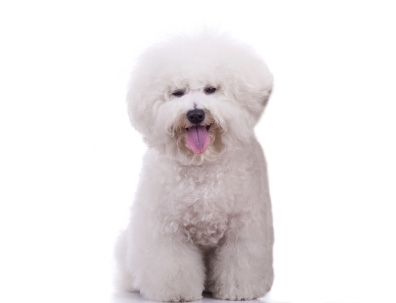 Breed experts say that the Bichon’s hair needs to be combed thoroughly on a daily basis. Light brushing is not enough and will result in matting. A prospective owner needs to be prepared to give the time to this. He is definitely a lap dog and needs his home comforts, but like all dogs he also needs daily exercise. They need consistent but fair reward based training as some Bichons can be head strong. Bichons love to be part of the family and to participate in all family activities. The Bichon’s coat definitely cannot be left to its own devices. If it is not groomed daily and trimmed regularly, skin problems and a great deal of discomfort will result. Eye disease: Hereditary cataract (HD) (annual testing).